Language has become our most dependent gateway for communication. It’s an essential part of human development, a crucial step in our species-wide expansion, and a method of expressing elements of life that were previously confined to the entity experiencing them. In a way, it has become the portal into the minds of those that surround us, giving us a brief flash of insight into the parallel universe of another person’s mind. Language is the ultimate foundation supporting the success of us our species. And yet, in all of its power to connect us, to explain what we understand and why we understand it, to experience the world through the eyes of another, language has also become one of the greatest barriers of our species. There are over 6800 languages that are used in the world today, and with them comes a barrier of communication that we have become completely reliant upon in order to convey any conceivable message. We speak and write in the words we know, and yet in doing so we isolate ourselves to a community that’s severely limiting. For native English speakers, we occupy a community of only 350 million people. That’s 350 million of a global population just shy of seven billion. So as you read these words on this page, if you have stumbled upon this collection seeking the views of a Third Culture Kid in a world full of cultures that outnumbers languages hundreds to one, know that you are one of only 5% of the world that will ever know the picture painted here. To a Third Culture Kid, this idea is heartbreaking. This collection was put together to help explain to the world what it means to be a TCK, what a life of adopting culture after culture does to a person, and how TCKs view the world with such a drastically different approach to our single-culture brothers and sisters. We are global nomads, people of the world sharing a single culture that has nothing in common with any other culture anywhere, even the culture of other Third Culture Kids. 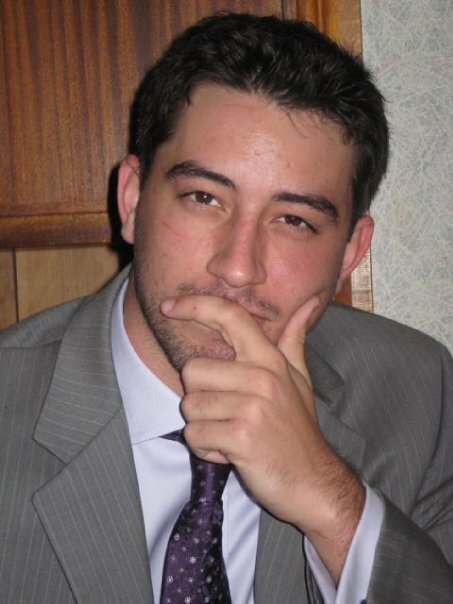 I have created the culture of James, a mess of different elements from France, England, America, Hong Kong, Singapore, Bali, Indonesia, China, and all the sub-cultures in the different pockets of those areas that I have experienced. I have picked and chosen who I am, what I love about the corners of the world I’ve visited, what I consider to be my home, but even for someone who has experienced exactly the same things as me, their Third Culture is completely different to my own. And I have evidence to prove it, having traveled the world with my younger brother, Robert, who experienced all the same things I did, and yet his Third Culture, his home, is nothing like my own. And so I try to share this with the entire world, the experiences I have had and the person I have become, because there are so many TCKs out there that feel alone and confused just as I did as I went from my childhood into my adulthood, until I realized the sheer beauty of what being a TCK means. But as I share my experiences, I am touching only the five percent that can read through the barrier of my communication. TCKs are a culture of the world. It doesn’t matter where you’re from, what language you speak, or what cultures you have adopted into your Third Culture Home. And yet, even though we come from anywhere, are all born of the same development, are all part of one community of people that unites us as global thinkers and neutral worldly admirers. Yet we are all separated by the words that we speak and read. The language that has given me the ability to write to each of you that gives you the ability to write back and tell me your experiences, the comments that inspire me to write more posts and discuss more issues that plague the Third Culture community, are all restricted by if you’re one of the 350 million people who can even understand the language I am forced to use order to communicate. I believe there are TCKs out there that noticed this dilemma far earlier in their lives than I did. Many TCKs probably attended schools that didn’t even speak their native language, forcing them to add another method of communication into their arsenal. But even then, we are still only scraping the surface of our ability to communicate. Monolingual, bilingual, or multilingual, we cannot possibly learn in the short time we have on this planet the 6800 languages that span this insignificant little rock full of so much beauty. And so, we will always be restricted, always incapable of communicating with the people who will never be able to read into who we are and what we have to say. Of course, this barrier is not the end of understanding. It’s not a culture’s language that inspires our ability to adopt new qualities of it into our lives. It’s the behaviour, the action, the style of life that inspires us and guides us. I have learned more about culture from people with whom I have not shared a single word than I ever have from those I communicate with. Where language is the method we choose to communicate, it is also limited by the content available within it and our ability to manipulate that content to describe an experience. I have said time and time again in this collection that trying to explain what it means to be a Third Culture Kid is impossible, however I will attempt the impossible all the same. 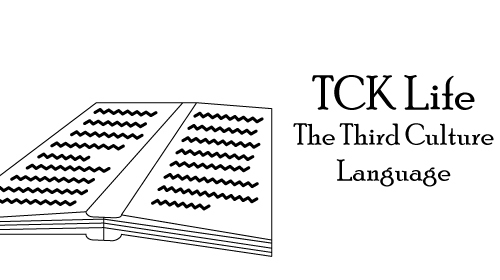 The truth is, it’s not impossible to explain what being a TCK is; It’s simply impossible to verbalize the experience. To know what it means to be a TCK you need to experience it. My children will understand, because I will explain it to them just as it was explained to me; I will explain it by showing them the world, without words. I will explain it by presenting them with an ocean of cultures, cultures that do not care what language you speak, but how you behave and operate within them. But with you, I am limited to words. Words that only 350 million of you can understand. But with those words, I will continue to try to paint you the only world I understand. Because in the end, 350 million, 350,000, or just 350 people who wake up knowing they are part of something amazing in the TCK world, or are prouder of their children or their family or their friends by getting a glimpse into the window of our minds, is endlessly better than changing the lives of no one. This entry was posted in TCK Thoughts and tagged bilingual, expat, expatriate, global culture, language, language barrier, native english speakers, TCK, TCKs, Third Culture, Third Culture Kid, Third Culture Kids, Travel, World Culture on September 18, 2012 by James R. Mitchener. What a great article. I completely agree!! Having moved to another country, I find myself limited at times, where I cannot communicate what I have in my mind and heart. But I’m working on it… It’s never too late. I am glad that I am not limited to words..! This has inspired my learning even more.. Thank you!!!! I’m glad I could help, and I’m glad you enjoyed the article. Where is it you’ve moved to? I hope you’re enjoying your travels, and welcome to Third Culture Kid Life!